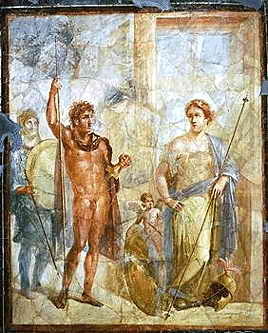 A mural in Pompeii depicting the marriage of Alexander the Great to Barsine (Stateira) in 324 BC. Honor and glory being the traits most valued by the ancient Greeks, it is no surprise then that the most successful military leader of the ancient world, Alexander the Great, would sleep with a copy of Homer’s Iliad under his pillow before going into battle. Inheriting the kingdom from his father Philip, Alexander, the King of Macedonia, embarked on an incredible journey, proceeding to conquer the entire known world at the time. More notable than the breadth of his achievement was the character and honor he frequently displayed in his pursuits. Taught by Aristotle himself, Alexander encouraged his men to intermarry with the conquered (as he himself did on a number of occasions), and would not raze a conquered territory but instead would invite the rulers to swear allegiance to him. His enlightened, passionate embrace of his destiny made him a legend. What is Your Passion? What is Your Calling?